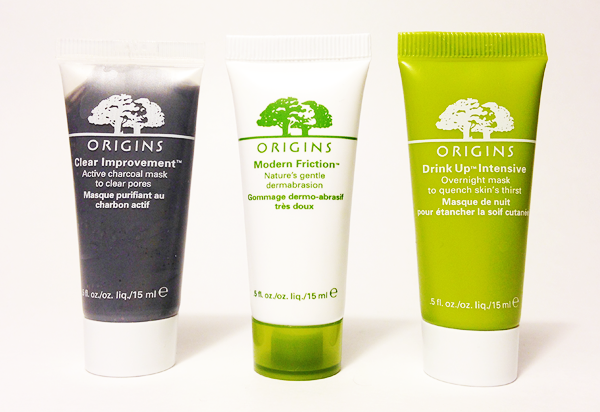 I know... Black Friday is LONG GONE and it took me forever to review this little kit, but I figured it was still worth it since all of these are permanent products from the Origins line and are definitely worth a closer look. Until recently I hadn't really tried anything from the Origins line outside of some foil samples that I got from Sephora and really hardly remember trying. I did know, though, that this is one of those lines that has a lot of ride or die fans who swear by their products, and I'm always curious to try out those brands. The last year or so has really been all about skin care for me and I'm always on the hunt for those real gem products that I can inject into my routine for some serious results. This set sold for $12CAD ($10US) on Black Friday, which I felt was a pretty good value to get to try out these products. The only one of these that I had tried before is the Modern Friction Nature's Gentle Microdermabrasion, but all I remembered about it was that I didn't hate it like I hated other microdermabrasion products that I had used in the past. That's something, right? Each of these bottles contains 0.5fl. oz. of product, which I feel is a good solid amount to really get a feel for each product to decide if you want to invest in the full size. Spoiler... There is at least one product in this set that I will absolutely be picking up in full size, but you'll have to keep reading to find out which one! 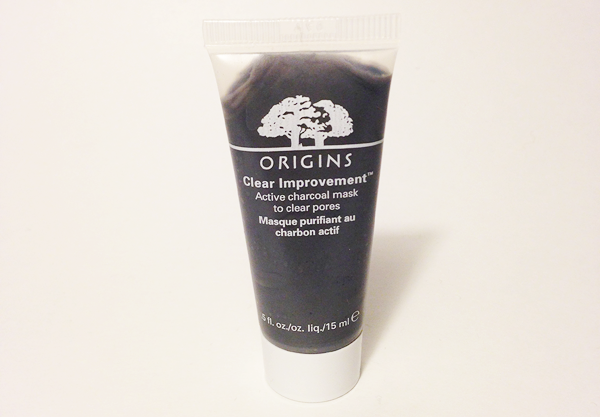 A mask with activated charcoal to draw out deep-dwelling pore-cloggers. When environmental toxins, dirt, and debris get under your skin, its waste-filtering system gets jammed, pores get clogged, and skin looks cloudy. Nature's complexion clean-up crew gets to the bottom of skin's overcast condition and clears the way for it to act its best. Charcoal is a great product for pore care and I've products that contain it in the past, so I was really excited to try this. My favorite time to use this product is when I'm struggling with hormonal skin issues. My skin tends to have freakouts that range from minor to major when I'm suffering from PMS and I find that the best way for me to combat that is to use a mask that is intended to deep clean the pores. I was a little surprised at the texture of this, because I was expecting it to be a thick cream and it's actually more of a gel texture. For me, when I use a product like this I like to prime my skin with a facial oil beforehand because I find that these products can be quite drying, so I've done that every time I've used this mask and I haven't suffered from any real drying effects from it. I liked this mask well enough and I felt like it did its job, but I don't think I would buy it again because I do have masks that perform very much like this one that are a little more affordable and that I think I actually like more. Still, I would say that this is a solid product that does what it claims. 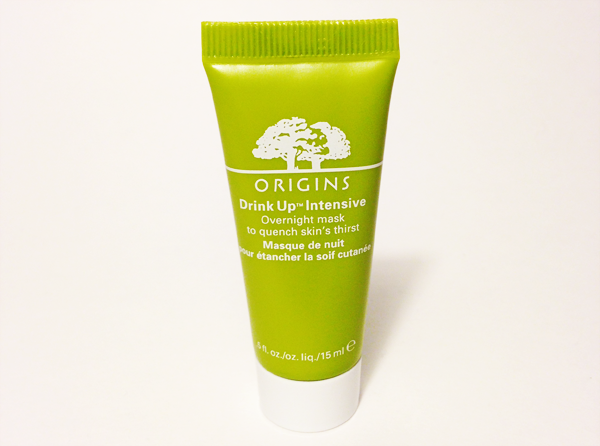 A gentle exfoliator for perfectly polished, smooth, and luminous skin. 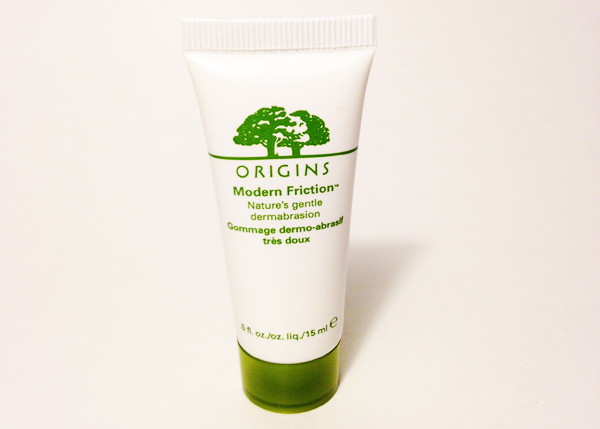 Modern Friction offers age-smoothing exfoliation without irritation. Skin-refining rice starch, cushioned in cream rapidly removes dead cells, uneven patches, and signs of skin damage and discoloration. Fine lines and pores appear instantly diminished. Lemon oil starts the process of illumination, all while aloe soothes and prevents irritation, redness, or flaking. The exfoliator is scented with the perk-up aromas of bergamot and peppermint. My skin recoils when I hear the word dermabrasion. The word itself is abrasive and I don't like it and I hate most products that bear that word. This, however, I actually quite like. Something about it reminds me of the LUSH Ocean Salt scrub, though I suspect that's more a scent thing than anything else. With the Ocean Salt scrub, I have to be very careful not to press to hard to work too quickly or it can be too much for my skin, but I feel like this one can be a bit of a no brainer scrub for me. After using it, my skin feels fresh, soft and clean. I haven't seen any significant differences in my skin after using it, but I do feel like it does the job well enough. This will go on the very, very short list of scrubs that I actually enjoy using and may get a repurchase in the future. I'm not mad at it. Skin depends on water for its youthful functioning. But all day long, skin loses vital moisture and the busier you are, the more it loses. This intense moisture replacement mask with avocado and apricot kernel oil deeply and instantly quenches compromised moisture reserves and builds a reservoir for tomorrow. Best for dry skin types, Japanese seaweed repairs skin's barrier to prevent future dehydration and signs of premature aging. You guys. YOU GUYS. I'm obsessed with this and I have every single intention of basically running out to Sephora as soon as this tube runs out to stock up on another one. Lately, I've really been loving overnight masks because I find them to be a bit of a no brainer. I just smooth a decent layer over my face at the end of my skincare routine, let it sink in for a half hour or so, and then go to bed and forget it until morning. With this particular mask I find that when I wash it off in the morning, my skin feels so deeply moisturized and nourish that I can actually feel it when I touch my skin as well as seeing an improvement in the freshness and plumpness of my skin when I look in the mirror. I also find that it helps my skin hold the moisture. I've been using this once or twice a week since I got it and my winter skin has been incredibly management and moisturized. This has a very potent apricot scent which I like, but may be unpleasant to people who don't like that kind of scent since it is quite strong. Seriously, though, I feel like this could be a real game changer for me in my winter skin care routine and I would recommend it for anyone who experiences a significant amount of dryness in the winter. Overall, I'm really happy with this kit, if only because it gave me a real opportunity to try out some different products from Origins. I think I will definitely be trying out some more products from the line after this, because even though they weren't all winners for me I definitely appreciate the quality of the products and the fact that they do seem to really live up to the claims that they make.